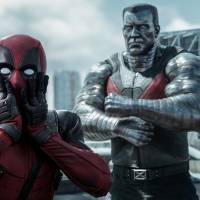 Troublesome heroes: Deadpool (Ryan Reynolds) gets ready for a little parenting from Colossus (Stefan Kapicic) in "Deadpool." | © 2016 TWENTIETH CENTURY FOX FILM CORPORATION. ALL RIGHTS RESERVED. The opening credits of “Deadpool” begin with the words “Some Douchebag’s Film.” Maybe it was because of this self-deprecation that overseas audiences found the film refreshing. Especially since in another recent superhero blockbuster, a billionaire vigilante pontificates on morality using the “one percent doctrine” as an example, while an omnipotent alien looks dour and hopeless when he is unable to save everyone from a bombing. “Deadpool,” directed by newcomer “douchebag” Tim Miller and starring Ryan Reynolds, was in development for more than a decade before finally making it to theaters (the film opens in Japan on June 1.) In hindsight, those years must seem like a godsend for those involved in the project. The superhero genre has gone through several changes in that time, and a large portion of the film works because of it. Audiences ate it up. The film, which opened earlier in February in the United States, became the highest grossing R-rated movie of all time. The success in one way feels like a bookend to a “coming of age” era for the modern superhero film, which is often said to have begun with 1998’s “Blade,” another R-rated movie based on a Marvel Comics character. That film was lauded for taking its source material seriously, showcasing the darker character for a mature audience. Since then, “serious,” “dark” and “mature” are attributes Hollywood has pursued doggedly in superhero films. The success of “Blade” led to the launch of 20th Century Fox’s “X-Men,” which ditched the bright yellow spandex of the comics in favor of black, and proved to Hollywood that audiences would be willing to come out for heroes that weren’t colorful or campy. But it wasn’t until the success of Christopher Nolan’s “Dark Knight” trilogy, which re-imagined Batman in a more realistic world, that Hollywood really started looking at superhero fare through the lens it does today. Superheroes for mature audiences are, of course, nothing new. The 1980s saw a wave of serious, adult-oriented superhero comic books, with Alan Moore’s “Watchmen” and “Batman: The Killing Joke” and Frank Miller’s “The Dark Knight Returns” often cited as highlights of the era. These stories not only served as political and social commentary on the times, but also as deconstructions of the genre of superhero comics itself. The films too have become increasingly complex, with increasing emphasis on reverence, gravitas and political and moral discourse. No longer is it simply about “cowboys and Indians” or even “with great power comes great responsibility.” From Superman’s (perhaps misguided) Judeo-Christian symbolism and identity/morality complex in 2013’s “Man of Steel,” to Tony Stark’s troubles with PTSD following the invasion of aliens in New York City in “Iron Man Three,” the lives of our cinematic superheroes have become far more complicated. The new film “Captain America: Civil War,” which pits the title character against Iron Man, brings forth issues of security and government control, as the two heroes duke it out over disputing opinions surrounding the Sokovia Accords, a set of legal documents devised to regulate the actions of super-powered beings and render them government servants. “Deadpool,” however, has no such analysis or commentary, at least not on the surface. It’s a fairly straightforward revenge flick, and in the larger context of superhero film, the movie ends up playing like a sort of antithesis to the current blockbuster climate. Unlike, say, Zack Snyder’s “Watchmen” from a few years ago, which was a bold yet straight-faced attempt to deconstruct the superhero mythos (much like its comics counterpart), “Deadpool” exists in a post-Avengers world, where audiences have come to expect a holier-than-thou reverence and shades of gray in the psychological underpinnings of the characterizations of heroes. What we end up with is a foul-mouthed, ultra-violent superhero who not only suffers PTSD, but also endures physical disfigurement with self-awareness that would make Woody Allen and Tyler Durden proud. Deadpool’s self-awareness — both the character’s and the film’s — is ultimately viable because of our own self-awareness. A few years ago we probably would have laughed at Deadpool. 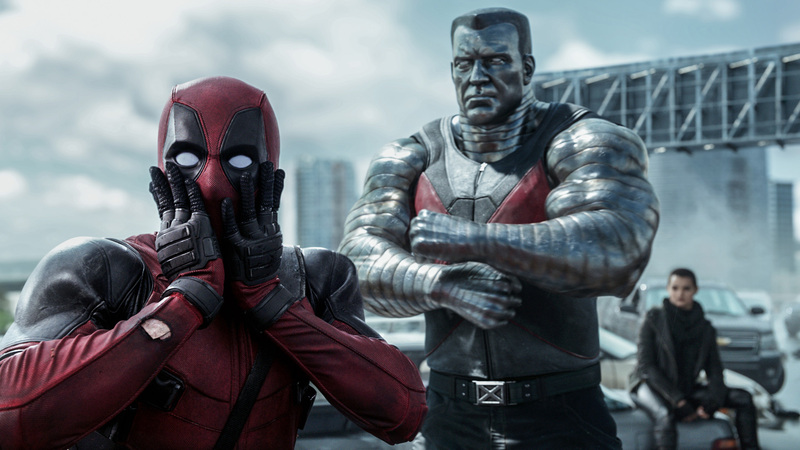 Now, superhero vocabulary has now enabled the audience to laugh with Deadpool. And at the end of the day, though, it’s the studio that’s laughing all the way to the bank. “Deadpool” opens nationwide on June 1.